Everyone knows Costa del Sol is blessed with countless sandy beaches and more than 325 days of sunshine a year – the ‘Sunshine Coast’ it most definitely is. But this diverse area’s other attractions are often overlooked – and there’s so much more to offer than sunbathing. Torremolinos used to attract the likes of Grace Kelly and Frank Sinatra back in the day. Nowadays, it’s the sandy beaches, nightlife and shopping that keep tourists coming back for more. You’ve got nine kilometres worth of sandy shores to pick from, with the main attraction being Blue Flag Playa La Carihuela. It’s conveniently located in front of the town centre and has plenty of sun loungers, bars and jet-ski opportunities to keep you occupied until the sun goes down. Speaking of when the sun sets, all you need to do is voice the name Benalmadena and you’ll be directed to the main party area, which is handily attached to a marina which provides a scenic backdrop for photos. Make sure you take the majority of your pictures before the night gets started – the parties don’t end until 6am! As you walk along the streets of Torremolinos, look around – the architecture and statutes make for a pretty picture. 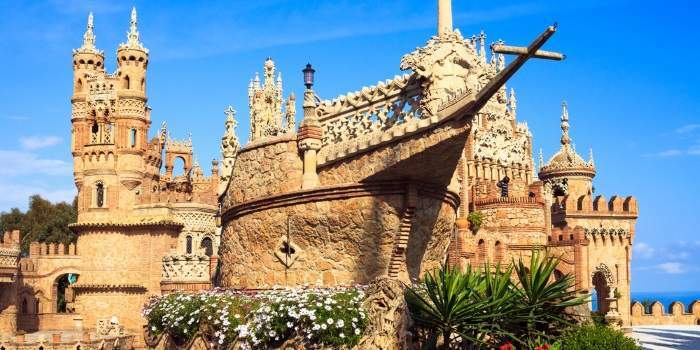 The House of Navajas is a beautiful mansion listed as a site of historical interest while the fairytale Colomares Castle stands in memory of Christopher Colombus. 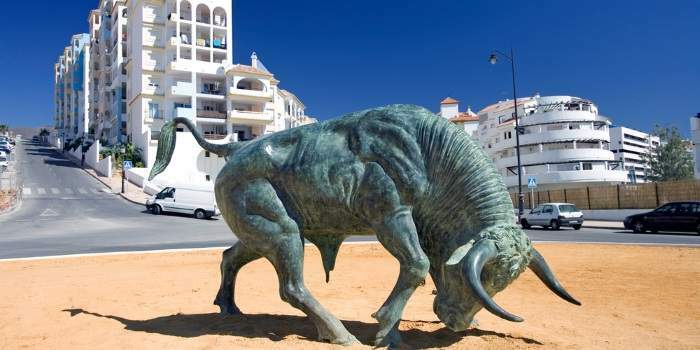 The Monument to the Beach is just one of the many eye-catching statues that line the streets of Torremolinos. The Churches of San Miguel and El Carmen are worth a look and you need to make sure you save some time to see the Pablo Ruiz Picasso Cultural Centre. 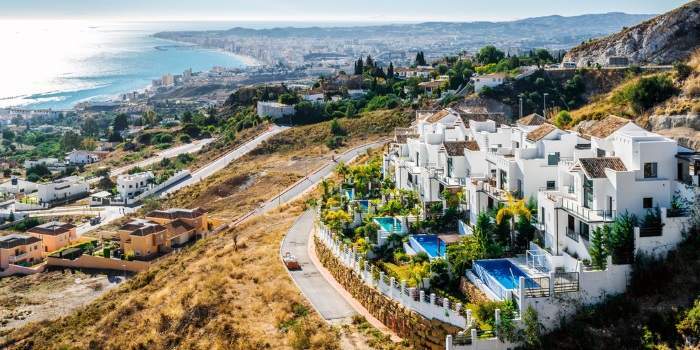 If you’re desperate to explore further afield, you’re only 20 minutes from Picasso’s birthplace in Malaga where there’s a smorgasbord of museums, churches, and shops alongside the harbour. Torremolinos is pretty green as well if you’re getting tired of feeling sand between your toes. Los Manantiales-Molino de Inca is a botanical garden set along a series of water springs. La Bateria Park has winding trails to wander along, trickling fountains, a pond, monuments and even a look-out tower. You could quite happily abandon days at the beach for a window into the cultural side of this sunny city. Known for the glitz and the glamour, and the sound of perpetually corking Champagne bottles, Marbella isn’t just for enthusiastic clubbers or the Only Way is Essex cast. Indoor fish markets tout some of the freshest seafood you’ll ever taste, not to mention every possible option of meat, vegetables, and herbs. 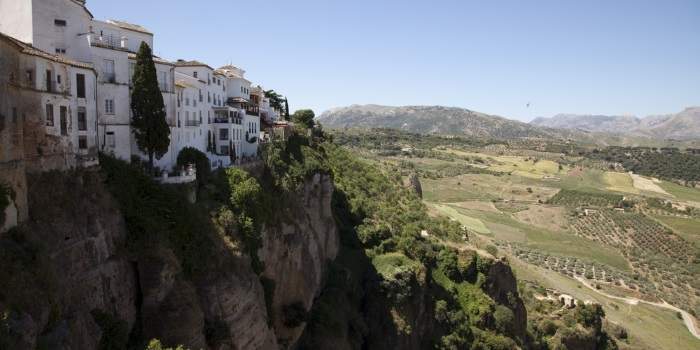 The white-walled town of Ronda enthralled Ernest Hemingway so expect to be impressed. It’s up in the mountains of Malaga, split down the centre by a 100-metre gorge. It’s just 60 kilometres from Marbella so it’s an easy day trip to take for some absolutely stunning views. Stroll along the three dramatic bridges – The Roman Bridge, the Old Bridge and the New Bridge, which stands a 120 metres above the canyon floor. 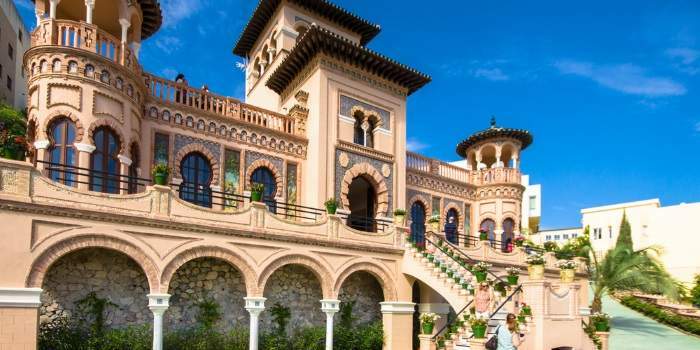 Grab a blanket and picnic at the Matador, check out the famous Plaza de Toros bullring, the largest in Spain, and take in the breathtaking sight of the Mondragon Palace and its manicured gardens. Foodies should also make a beeline to Tragabuches, one of the few Michelin-starred restaurants in Andalucia. You’ll leave happy. Fuengirola has plenty to do off of its eight-kilometre beaches. Firstly, its seafront promenade runs along the coast and has a host of bars, restaurants, clubs, and shops to entertain you. Plus, there are also landscaped gardens to relax in and that’s not the only you can choose from. Gardens cover about 350,000 square metres of Fuengirola. You can rent boats at the River Park. Parque de Poniente (and its ship-themed playground) and San Alvaro Park, which boasts a skating rink and bowling green, are good for a fun day out. Set your sights on Estepona and you’ll notice the 21 kilometres of glistening coastline. Look a little further and you’ll see a lot more. If you’re an avid golfer, you’ve got eight world-class golf courses to pick from. Book a game at the likes of Estepona Golf, Valle Romano Golf Club, or La Duquesa Golf & Country Club. Horse riders can saddle up easily at the Costa del Sol Equestrian Centre while animal lovers can head to Selwa Aventura which houses almost 2,000 different animals from five continents. As for the sights, there are plenty to explore. The seven museums will keep you busy. Opt for the Museum of Ethnography for a window into the life of local residents over the past few centuries while the Museum of Archaeology will take you a bit further, displaying items from the Phoenician, Roman and Islamic civilisations. The Bullfighting Museum gives you a chance to see an actual bullring and an exhibit detailing its history with everything from posters to suits owned by some of Spain’s top bullfighters. The dramatic San Luis Castle and Church of Virgen de los Remedios are worth a trip too! Not to be overlooked, the Garó Collection is art within art. The 300 works of art from the 15th to 20th century are housed in a beautiful, 19th century mansion called Plaza de las Flores which showcases traditional Andalucian architecture at its best. The white-washed village of Mijas is surrounded by evergreen pine trees so anyone craving a scenic walk is right in the midst of it. 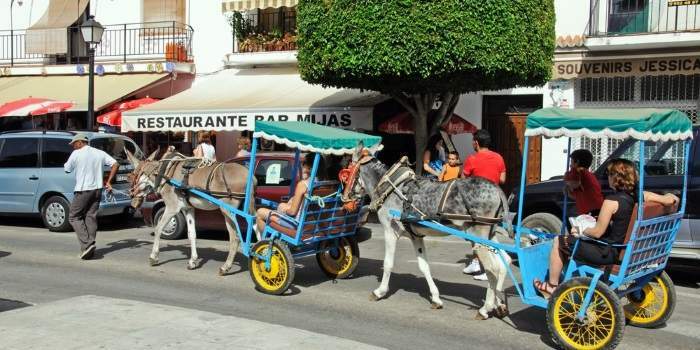 The surroundings have remained relatively untouched by tourism – donkey taxis still take people where they want to go and free flamenco shows pop up on the streets in the evenings. Head to the Old Town and stand in scenic gardens for incredible panoramas of Costa del Sol. For the offbeat, El Carromato de Max is a museum that showcases miniatures of just about everything – there’s even a portrait of Abraham Lincoln on a pinhead. This village is made for wandering around so put on some good walking shoes and take in the sights, haggle for the likes of honey and daintily-painted ceramics, and breathe in the smell of caramelised almonds in the air. You can relax in the many plazas, sample what the garrapiñadas vendors are selling on the street and while away the evenings in laidback restaurants and bars. 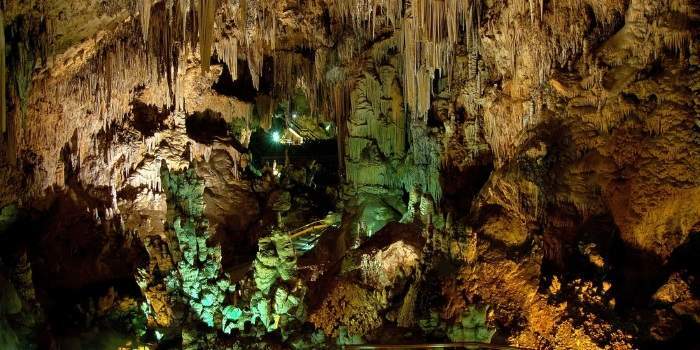 The main thing that pulls in tourists is the fascinating Nerja Caves. Thanks to the fact it holds the world’s largest column and oldest Neanderthal cave painting, it’s in the Guinness Book of World Records – they’re dated to be 10,000 years older than the previous record holder! In recent years Roman pottery, Moorish coins and signs of an unusual biodiversity have made the discovery of these caves even more profound. Don’t miss out on feeling like you’re on top of the world on the El Cielo, the highest coastal mountains in the area at 1,508 metres. On a clear day you’ll be able to see breathtaking, unobstructed views of the whole of Costa del Sol. There’s a reason why El Cielo translates as ‘heaven’. For more spectacular views that don’t require a mountain trek, take a stroll along the Balcón de Europa, Nerja’s most famous landmark and viewpoint. Sea kayak from Nerja’s Burriana beach to Maro through stunning coastal scenery of hidden beaches, caves and rushing waterfalls, hike up the Rio Chillar or pay a visit to the Eagle Aqueduct, a site of special cultural interest. Nerja isn’t short of spectacular scenery, on and off the beach.